If’n you need me, I’ll be over here in a girl’s high school uniform practicing getting +/- 0. Also, I actually had the guts to register for a user ID on tenhou.net. I’m up to 6kyuu now. 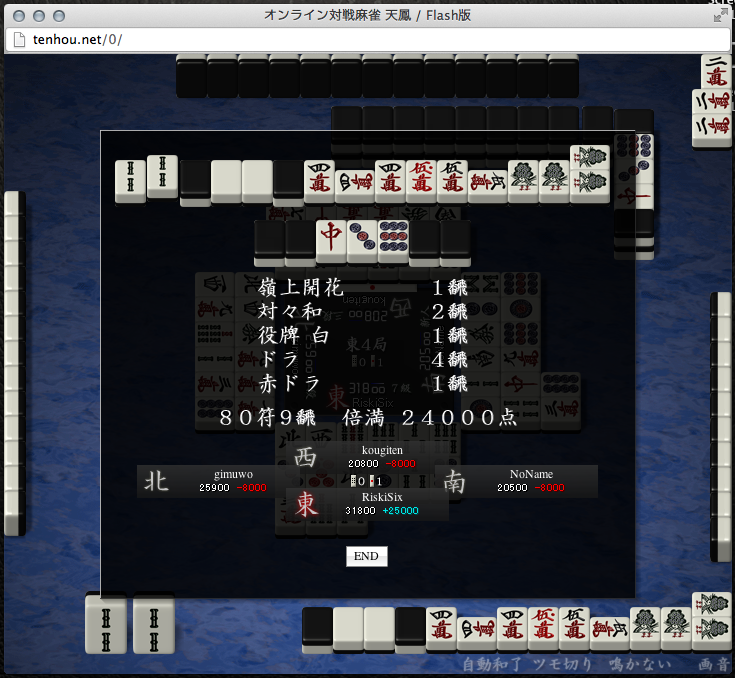 Having 24/7 access to competitive mahjong is frightfully addictive. This is going to be bad for the old steam backlog.